You guys....Wow! 130 entries!! 130 recipes to try and people to thank for coming strong to make this edition of SHF such a success. Thank you! I am whipped!! Seriously, things started slow and nice and Bang! I turn around, enjoy a few boat rides with the family and just like that my tastebuds are overwhelmed with a delicious flow of creative, funny, fun, amazing entries! I don't have much to add..really...pictures speak a thousand words they say! Well, it's been a few all nighters here at Tartelette's to bring all these to you so if I forgot your entry or messed up a link...go easy on me and we'll fix this together over the weekend. Before we start, I need to mention that Jennifer herself will be hosting the next Sugar High Friday! The theme is "How Sweet does Canada Taste to You" and she is asking not necessarily for favourite recipes but specifically for your favourite foods... Participants will be asked to bestow their favourite sweet treat that is made in Canada; home-made OR store bought (or both!). You don't have to be Canadian or live in Canada, you just have to have a fondness for a Canadian-favourite. And now the round up!! Let's start off this round up with SHF creator, Jennifer from Domestic Goddess who made a Lemon Cloud Cheesecake, (recipe here) which she says started out as a mess but ended up as a masterpiece. Aren't most masterpieces and discoveries made that way?!! Susan from Food Blogga pays tribute to her dad's limoncello in these Mini Custards With Limoncello-Spiked Rasberry Sauce. 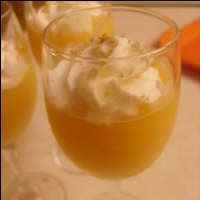 Refreshing, sweet and healthy...I think I will have to eat two just to make sure! Gorgeous! Kristen from Something Sweet finds the time to join us while in the middle of a big move and makes these puckery good and fluffy Lime Cheesecake Squares. I'd say they are the perfect companion to share while moving and boxing! 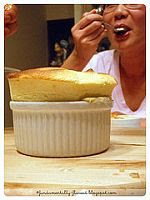 Sihan from Fundamentaly Flawed shares a wonderful Orange and Lemon Souffle with her family and friends. What a great finale to a gorgeous table and good times spent together!! A tower of citrus goodness indeed! 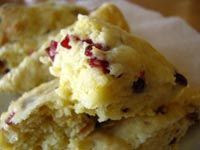 Lynne from And Then I do The Dishes starts a double birthday celebration on a perfet note with these Cranberry Orange Scones! I love that breakfast can be good and good for you too. Thank you! Ambrosia from Brozy's Baking participates for the first time to SHF and with such a yummy creation I hope it won't be the last! 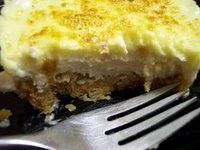 She combines two of my favorite desserts: creme brulees and cheesecake in these Lemon Brulee Cheesecakes. Brilliant! 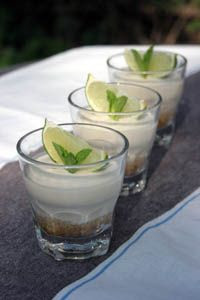 Patricia from Patricia Furtado-Recipe Book pairs limes and caramel in a Creamy Lime Mousse with Lime Caramel Sauce. Simple ingredients and preparation but a mouth watering result. 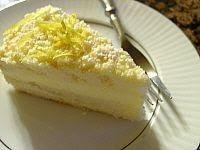 Lysy from Munchkin Mail gets inspired by lemons and makes the cutest star shaped Lemon Mousse Cheesecakes. We still need to help her use some limes....any ideas anyone?! Just kidding! 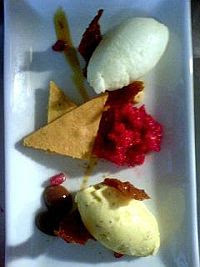 Cathy of Aficionado made a Trio of Ice Creams that had my eyes rolling in all directions with sugar desire: Sheep's milk yogurt sorbet, crushed raspberry ice and white pepper ice cream, all enhanced by a good dose of lovely lemon. 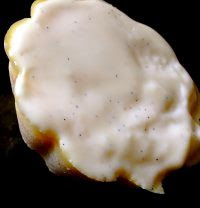 Shari from Whisk: A Food Blog, makes the most tempting combination of velvety smooth and sugar crunch in her Pecan Coconut Pavlova with Lemon Cream. Hands off people! They are mine! Rachel from Fairy Cake Heaven puts a very creative spin on some favorite recipe and delivers a tempting, no scratch that, mashing display of flavors. 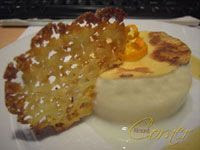 Check out her Pomelo and Lime Curd, Orange Mousse and Lemon Lavender Butterflies Tuiles. Candice from Mmm, Tasty! 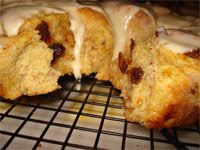 makes a batch of flavorful Orange Date Walnut Buns based on a cinnamon buns recipe that she loves. Filled with orange juice and orange zest, I already wish it were morning, don't you? 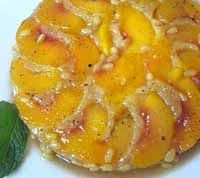 Michelle from Thursday Night Smackdown participates in her first SHF, calling it a "personal blogging milestone" ( I know that both Jennifer and I are flattered by that line) with a smackingly good Fuzzy Navel Upside Down Cake. How creative is that?!! Kristen from Sweet Pea Patisserie recreated her mother in law's favorite cake and does a wonderful job in this scrumptious Lemon Cream Cake. That had to score major points on the mother-in-law scale! Liz from VeggieGirl shows ingenuity with these Lemon Gem Cupcakes by turning a runny lemn glaze into a lovely lemon filling. Great thinking, they look delicious! 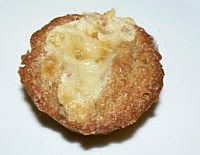 Is the knife to protect the last muffin from lemon cupcake lover snatchers?!!! Oom from Vanilla Orchid makes the cutest White Chocolate Almond Cupcakes with an orange icing. 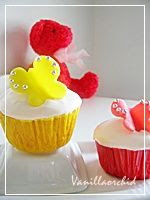 The marzipan butterflies are a wonderful and whimsical touch to her dessert! 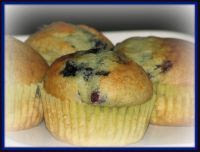 I tend to think like Ranji from Ranji's Kitchen Corner that lemon and blueberries go perfect together and I love that she paired them in mouth watering Blueberry Muffins for the event. Those would be great for breakfast and snack time...or lunch and dinner too! Deeba from Passionate About Baking is also passionate about citrus (yeah!) 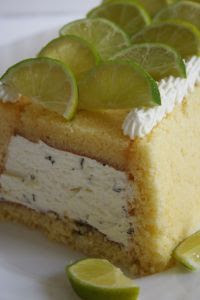 and makes this gorgeous Tangy Fresh Lime Cake with as you guessed lime in the cake and in the syrup/glaze. Yum!! 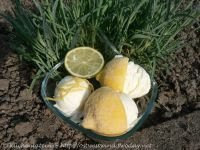 Ulrike from Kuchenlatein in Germany makes a delicious sounding Lemon Yogurt Ice Cream that is a cinch to make and will refresh the whole family in under an hour. Perfect for summer! Rachel from The Essential Rhubarb Pie decides to come out and play with us and relax in the kitchen as well by creating some delicious Ginger Creamsicle Muffins with cardamom, cinnamon, mascarpone and plenty of orange to go around! Yum! 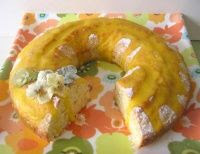 Ayin from Flower In The Kitchen made the most delicious souding Lemon Swiss Roll With Lemon Curd. Thank you for persevering with this one because it turned out superb! 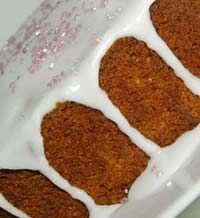 Super sweet Steph from A Whisk And A Spoon in Australia knows how to tempt me with two delicious entries! 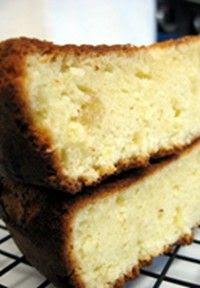 She first made one of my childhood (ok, all around time) favorites, Lemon Yogurt Cake. 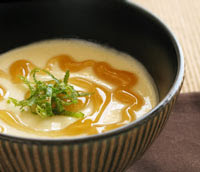 She added an extra delicious ingredient with a sweet orange marmelade glaze on top. Then, she added for extra sweetness Meyer Lemon Ice Cream Bombes, filled with a caramel orange sauce, similar to Baked Alaskas. Wooza!! Marianna from Swirl & Scramble in France, remembers Italy and shakes things up a bit with this outstanding Limoncello Tiramisu. Great take on a classic! Thanks for participating! Joanna from Salute To Sanity chose the less traveled road with her Grapefruit Curd Cups and I could not be any more pleased to get another curd recipe! Thank you! Abby from Eat The Right Stuff made this outstanding Lemon and Rosewater Frosted Pistachio And Orange Cake...but wait... there is also a hint of cardamom in there. Brilliant combination! 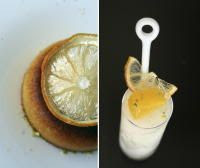 Chriesi from Almond Corner took her love for lemon sorbet to the next level by making it herslef and pairing it up with crepes in this Orange Crepes With Lemon Sorbet. Sounds decadent and refreshing at the same time! 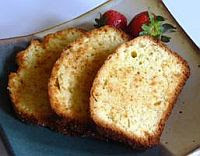 Emily from The Sweet Gourmand makes a comeback to SHF with a wonderful and flavorful Lavender Lemon Pound Cake. Glad the theme inspired this beauty! Minko from Couture Cupcakes put on her creative hat and came up with these Hazelnut, Lime and Cracked Black Pepper Cupcakes! I am looking forward to trying them myself! 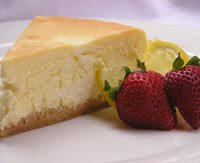 Sweet Abby from Confabulation In The Kitchen tried to please all the women present at her Mother's Day table by making this Almost Fat Free, Almost Sugar Free Cheesecake. I think that everyone watching those calories will be happy with it! Mindy from Mindy's Deli in Venezuela brings us these ubber cute Lemon Cupcakes With Lemon Buttercream. Love the candied peel and leaves. What a way to celebrate a birthday! First time participant to SHF, Gauri from Guj Food Guide created a wonderful interpretation of the classic lemon yogurt cake with this delightful Lemon Cake. Magali from In The Night Kitchen made good use of leftover limes and created a perfect Lime Flan to help her friend unwind. Now, that's one cool blogger! 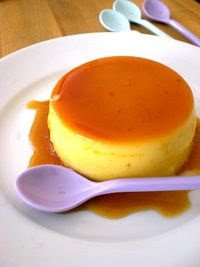 Zita from Simplicious made a dessert that I know I will make very soon: Lemon Sponge Pudding with Cardamom Caramel Syrup....just the title makes me swoon! 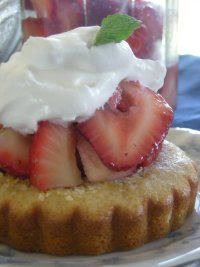 Lori from Lori's Lipsmacking Goodness made great use of an abundance of oranges in this Orange Cake with Curacao Strawberries . Going with the flow was a great idea! 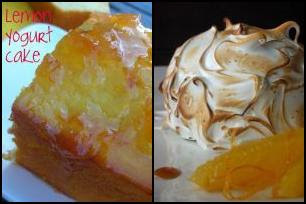 There are days I wish states were smaller around here so I could be over at Aran's Cannelle Et Vanille in Florida and have some of her Lemon, Orange and Almond Savarin Cakes with Grapefruit Sorbet that she made while remembering her wonderful grandfather. Eskerrik asko ! Marija from Palachinka in Serbia made this exquisite Mojito Dessert: a cake filled with a wonderful mint and lime yogurt mousse. Very refreshing! Smita from Smita Serves You Right in Rochester, New York made this inspired Olive Oil Pound Cake flavored with sherry and orange! I am putting the tea kettle on right now! Thank you for participating! 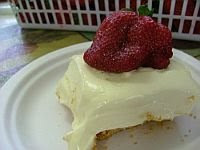 George from Culinary Travels Of A Kitchen Goddess made a wonderful Lemon Oil Cheesecake with a sweet pastry base and a pana cotta-like frosting. Now, doesn't that scream yummy or what? 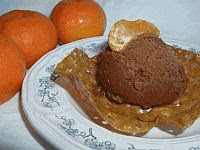 Judy from Judy Gross Eats in California reminisce of a favorite Baskin-Robbins flavor and create one which I think is to times better with this Chocolate Tangerine Sorbet. 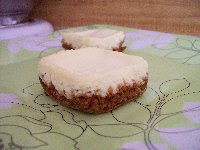 Johanna from The Passionate Cook in the UK found some time during her move to make those scrumptious Mojito Cheesecakes. Thanks for participating and being such a pillar of SHF! 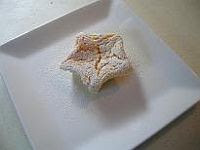 Psychgrad from Equal Opportunity Kitchen made a moist and comforting Orange Crumb Cake. Don't wait for cooler days to crank up the oven! 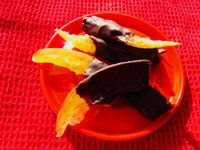 Scrumptious from In My Box is a first timer to SHF and made some tasty and flavorful Candied Pomelo Peels With Bittersweet Chocolate. 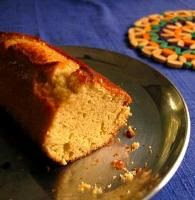 Farida from Farida Azerbaijani 's Cookbook made a delicious Cheese and Yogurt Cake with lemon zest. 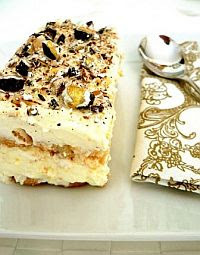 Almost a cheesecake and a wonderful light snack at the same time! 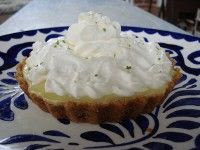 Elizabeth from Stawberries In Paris made scrumtious Key Lime Tartlets that were devoured in no time on Mother's Day. I believe that! 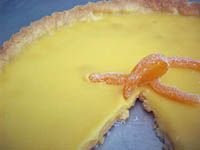 Tommi from Brown Interior made one of the most tempting treats out there: Grapefruit Tart With Candied Grapefruit Peel paired up with some beautiful lyrics and prose. 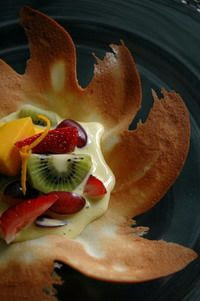 Thip from the delicious blog Bonbini made this beautiful Orange Sabayon in a tuile cup with fresh fruits. Crunchy and smooth all in one bite! 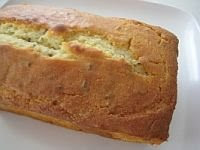 Elizabeth from Spice Girl gets her bloggin groove back for SHF and makes this delicious Lemon Olive Oil Cake. I think I could snack on it all day long! 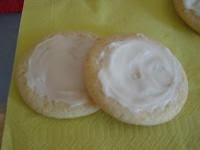 Steph from CIA-Cooking In An Apron made some wonderful Iced Lemon Cookies. 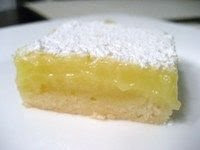 How can you go wrong with lemon on lemon, right?!! Thanks for participating! 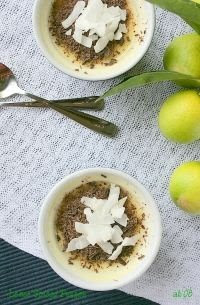 Arfi from HomeMades reminded me with this fabulous Lemon Posset of all the possibilites of cream, sugar and lemon mixed together. Thank you for such a stylish dessert! 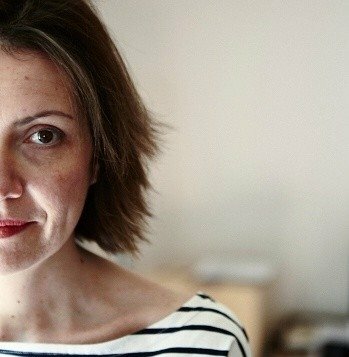 Basma from the yummy blog Bakerette is somebody I relate too as she can't decide which one of her entries she likes best for the event and I thought "why not have both?". She first made the silkiest Rich Chocolate and Orange Mousse. Just give me the bowl will you?!! Best remedy to a tough day for sure! Then she tempts us with the cutest Mini Lemon Cheesecakes. Double yum! Medena from Cafe Chocolada combined citrus and chocolate in the perfect Orange Infused Chocolate Buttercream Roll and even made marzipan type citrus fruits. Way to go Medena! 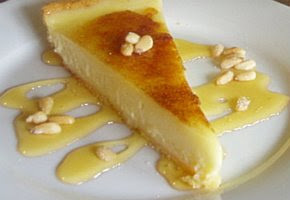 Brittany from The Pie Lady knows how to make me blush and swoon with this wonderful Citrus Creme Brulee Tart. 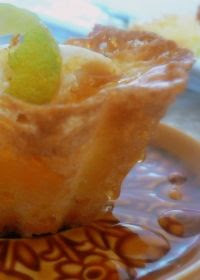 All my favorites wrapped into one: crust, citrus, caramel crunch...yum! Sugar High Friday #43 Citrus! The Round Up Part Two...Click here.